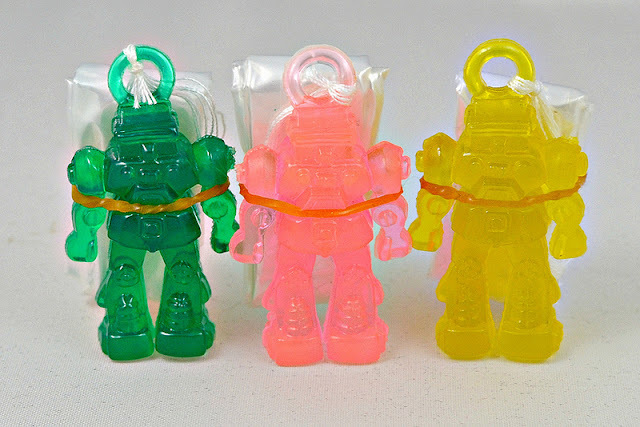 What: Ever since Imperial Toy's "Poopatroopers" of the 1970s, little plastic figures with parachutes attached have been a common offering in variety stores and toy vending machines. The little parachutes never seemed to work too well and would always get tangled beyond help after a few minutes, but they were still fun, and even if you wanted to cut the parachute off you'd still be left with a cool figure. One variation released over the years includes various robot figures, which appear to be bootlegs of Japanese robot toys. 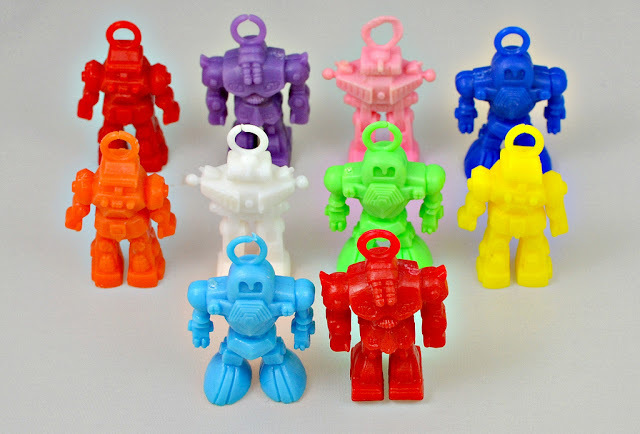 The figures in the first photo above are some of my earliest vending machine toys--I remember begging for quarters to get them out of a machine in a bowling alley around 1987/1988. The clear variations in the bottom photo are more current; they were being sold as party favors in bulk lots on eBay as recently as earlier this year. For more photos of these figures, check out the Little Weirdos vending machine figures set on Flickr. When: Mostly 1980s-1990s, but they still pop up sometimes (like the clear versions pictured above, which are very new). I'm not sure if I recognize the bots in pic #2 because I had one or because they resemble something from BattleTech. "The guys in picture 2 are the Roundfacer robots from the Dougram anime. Dex commenting there is correct too. 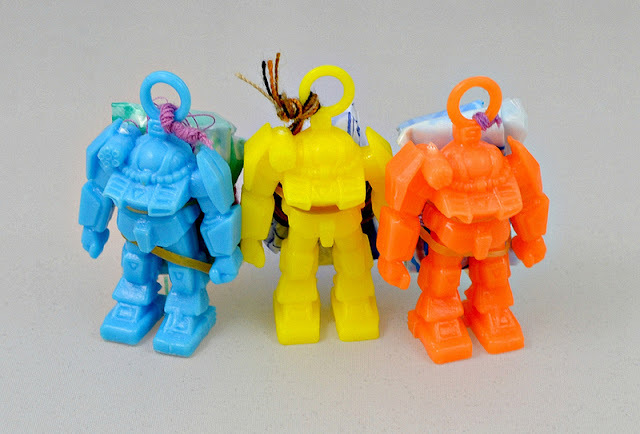 Dougram designs were 'borrowed' for use in the BattleTech miniature game." I definitely had some of the picture #2 figs. Their parachutes lasting a few days before being removed, but they had a long and illustrious toybox career.